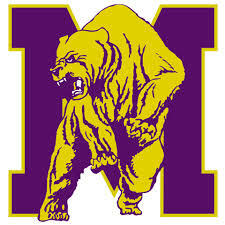 Miles College is a senior, private, liberal arts Historically Black College with roots in the Christian Methodist Episcopal Church that motivates and prepares students, through committed faculty, to seek knowledge that leads to intellectual and civic empowerment. This opportunity is open to current and past military personnel.The Miles College education engages students in rigorous study, scholarly inquiry, and spiritual awareness enabling graduates to become life-long learners and responsible citizens who help shape the global society while they use their GI bill education benefits. Miles College is an institution of academic excellence whose students, graduates, and faculty contribute to the intellectual and professional vitality of the broader community, exhibit technological sophistication, and value the renderings of art in all its forms. The College serves increasingly diverse students and gains recognition for global partnerships that assure cultural awareness. Student and faculty involvement in international studies and global intelligence will preface the College emerging as a magnet for regional discourse in public policy and global awareness. Academic course offerings will include masters level courses delivered through a variety of pedagogic delivery mechanisms that appeal to a wide range of student needs. The course offerings are a catalyst for continued growth in the number of students served. Miles College functions as the archetype for colleges and universities throughout the United States and global community to engage in the study, discourse, and application of solutions for human problems throughout the world. Students, who engage in the Miles College experience, demonstrate a commitment to excellence, continuous improvement, and service to others through regular gifts to the dynamic academy that Miles College has become.